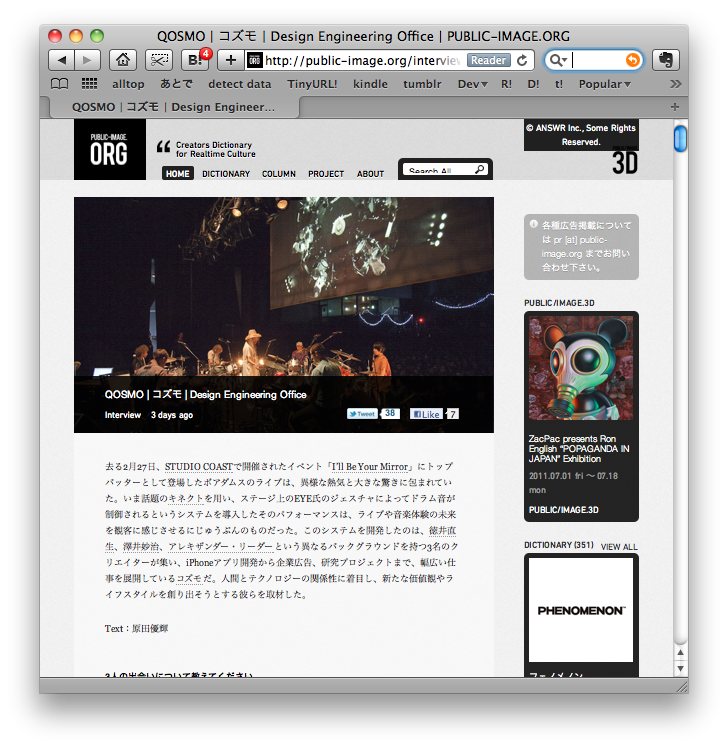 My company, Qosmo, is featured on PUBLIC IMAGE, a Japanese design/art portal. A long interview of three of us was posted on the site. Unfortunately, it’s all in Japanese.